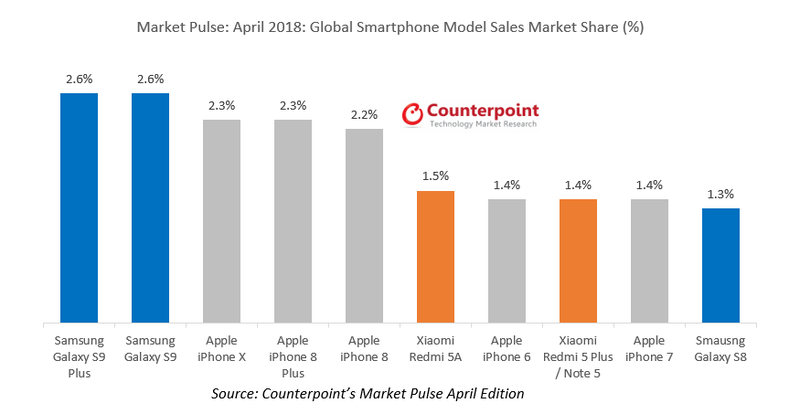 According to the latest research from Counterpoint’s Market Pulse, Samsung’s Galaxy S9 series became the best seller globally, pushing Apple’s iPhone X to the third spot. The sales of Galaxy S9 series improved, driven by performance in APAC and NAM. 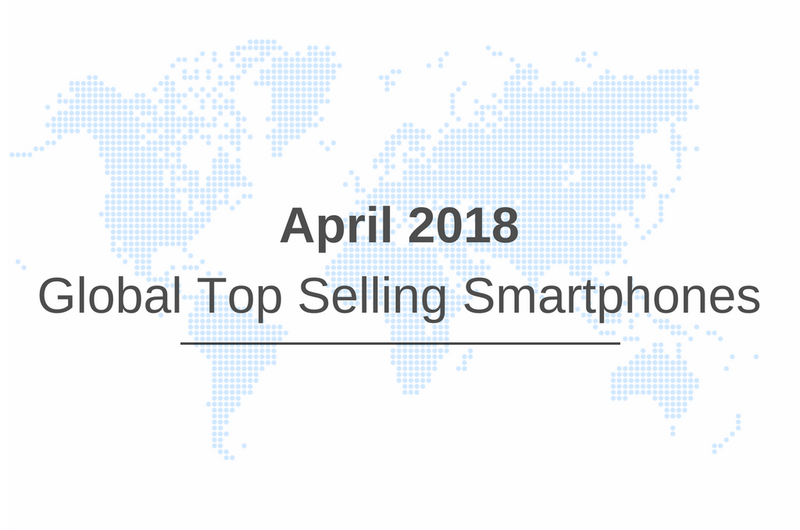 Xiaomi continues to make its presence felt in the top selling smartphones globally and grabbed the sixth and the eighth position with its Redmi 5A and Redmi 5 Plus / Note 5. This is the first time Xiaomi grabbed two positions within the top ten model list. Xiaomi grew both in China and India due to its affordable smartphones. Apple declined month on month due to seasonality. Apple continues to dominate the global best-selling smartphone models occupying five spots in the list. Demand of Apple iPhone 7 remains strong in APAC and NAM regions. 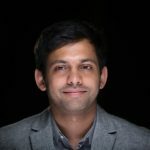 Samsung price cuts on older Galaxy S8 series along with aggressive marketing and cashback offers, easy EMI’s amongst other factors drove sales for premium flagships. Top ten bestsellers are skewed either towards the premium segment or the entry level segment.